The Oldham Way and Tameside Trail are two of the footpaths used on this stage of my walk south thorough England. 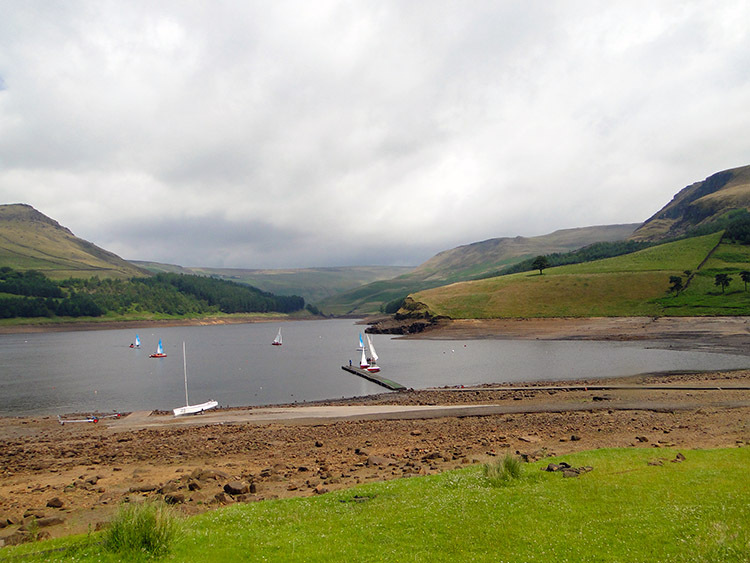 From Diggle I head back to the Pennine hills by way of the Oldham Way to Dove Stone Reservoir and to Chew Reservoir. 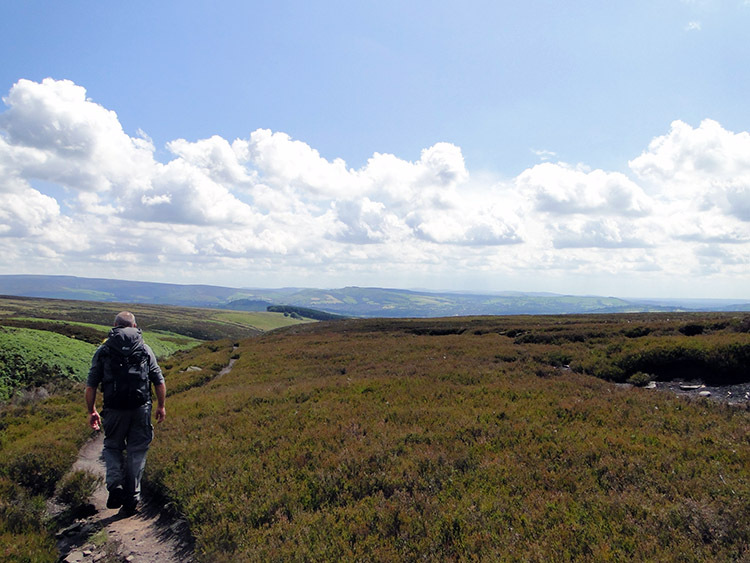 Then it is a walk across moorland to join the Tameside Trail which leads to Hollingworth Nature Reserve, Hollingworth, Hadfield, Dinting Vale and finally to Glossop. I so much looked forward to this stage. 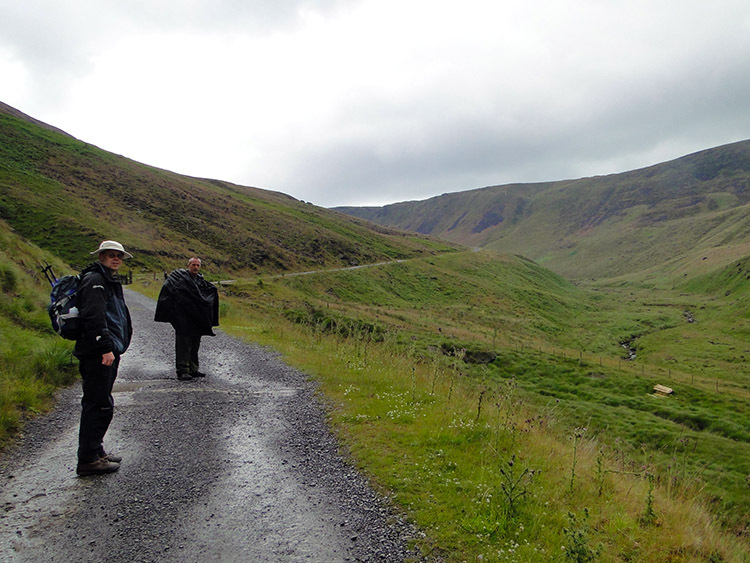 Since reaching Carlisle I had walked 10 stages and each had a degree of familiarity to me. Which is not surprising as they took me through the Lake District, Yorkshire Dales and West Yorkshire, all areas I walk frequently. 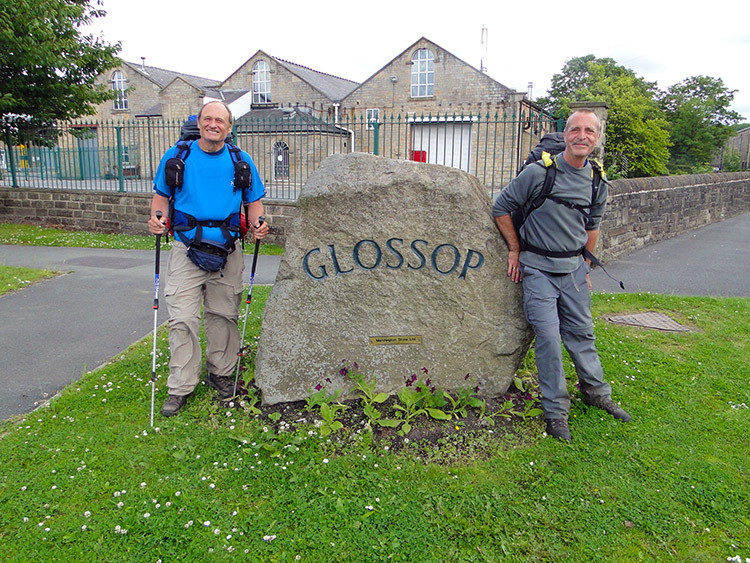 This one though, from Diggle to Glossop would be over 100% untrodden ground. I like exploring, it is such an adventure walking new paths and seeing new sights so I was naturally eager to get going. Steve and I showered and packed our gear into our backpacks before enjoying a good breakfast at Sunfield Stables Bed and Breakfast in the Diglea near Diggle. As we had breakfast I kept looking out of the window as we were to be joined for the day by Andrew Stone, a work colleague of mine. He would add some useful local knowledge to the walk. Just as well, Steve and I knew nothing about the area we would be walked through today. And right on time Andrew turned up, just as we were finishing breakfast. Soon we said goodbye to our host and set off on our way. Our first course of action was to work our way on paths across a few fields to Running Hill Head. While we did that Andrew and Steve got to know each other. As we continued south from Running Hill Head to Pob Green Andrew pointed to an obelisk on the nearby hill. He explained it was the Pots and Pans Cenotaph in memorial to the local folk who died in the Great War. I have since read the cenotaph only came about after much dispute. Some people thought a cottage infirmary was a strong alternative which would benefit the community more. The cenotaph won out eventually and was finally erected in October 1923, nearly five years after the end of the war. I wish we had climbed up to see it up close now. 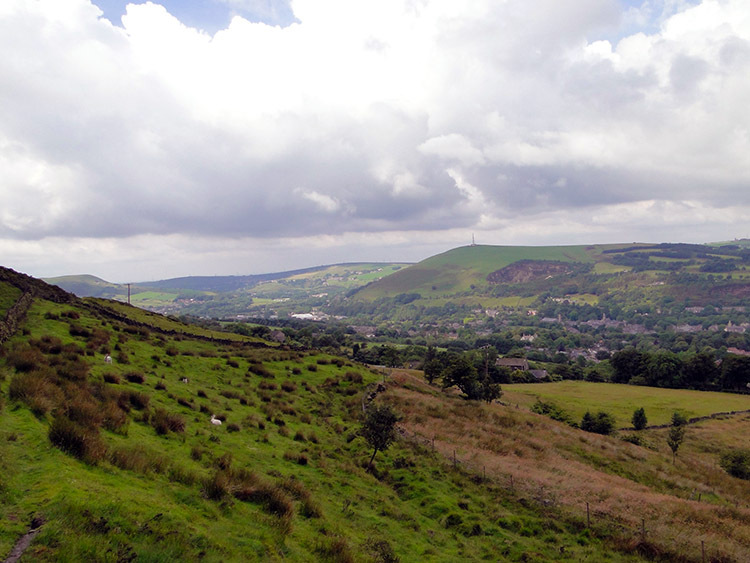 Still we got fine views of the Tame Valley and the Mossley area instead. We walked around to the south side of Board Hill which the Pots and Pans Cenotaph stood at the top of and picked up the Oldham Way which we had left behind on the previous stage when we descended from the moors into Diggle. We left the Oldham Way as we crossed the A635, only temporarily though as Andrew was to show us the amenities at Dove Stone Reservoir. While walking down through a wood to the reservoir we met with a group of RSPB people. 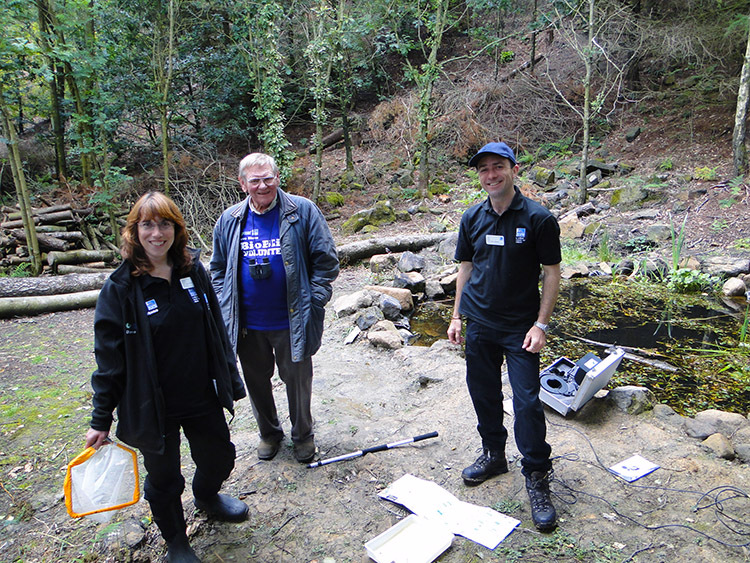 They were with nets, small animal and insect traps and a set of leaflets. They told us they were preparing for an adventure day with local children. We wished them well on their day. They wished us well on our walk. From the wood we crossed the dam of Dove Stone Reservoir while Andrew explained the local water management system. Steve was impressed but then it is part of Andrew's day job to know. Both he and I worked in the water industry and Andrew was serving United Utilities at the time! Back to the walk now, we will return to geek stuff in a short while. We cleared the dam just in time as when we arrived at the Dove Stone Reservoir leisure facilities the most almighty and sudden rainstorm hit. It hammered down. We took advantage of it by getting a cup of tea from a mobile cafe and cowered in the doorway of a reservoir building to drink it. 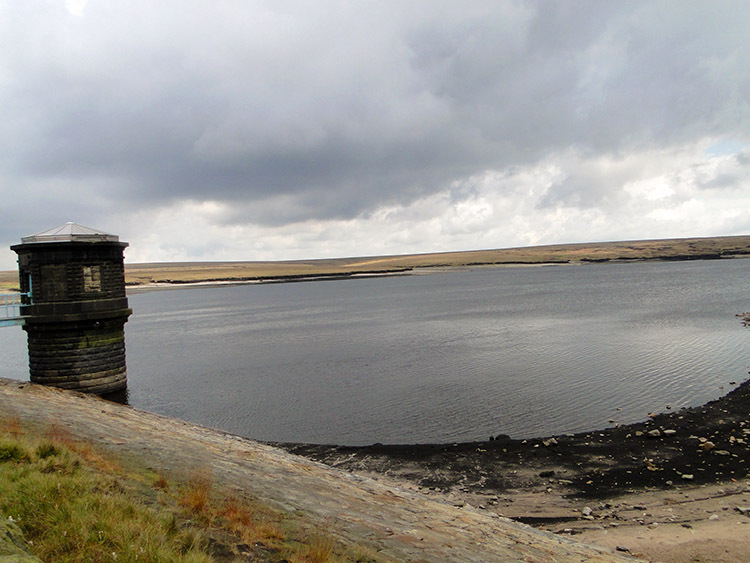 The storm lasted 20 minutes and put many more gallons of water into Dove Stone Reservoir while it did so. There had been a few people on the water in sailing craft and boats when it hit. I hope they had suitable wet gear on, as they sat it out on the water. When the rain stopped the sunshine quickly replaced it and we set off walking again, making our way past the Sailing Club building and onwards up Chew Road towards Chew Reservoir. The sun disappeared half way up and Steve donned his pal the poncho once more. Nice to see him with his favourite wet weather walking attire friend again. The second rainstorm which joined us on the climb up Chew Road was not as severe as the first one and not as long either. By the time we passed Dish Stone Rocks which Andrew pointed out to us the sun was out again. This time it looked the more promising that it would stay. Clouds were rushing across from west to east and blue sky was taking more of a presence. We came to Chew Reservoir. Time for the second geek moment. 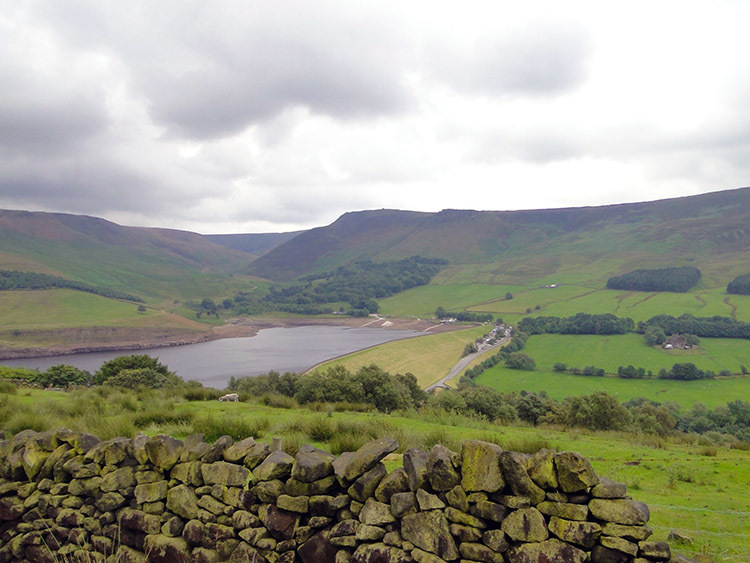 At 1,600 feet (488 metres) above sea level Chew Reservoir was the highest reservoir in the British Isles when it was built in 1914. 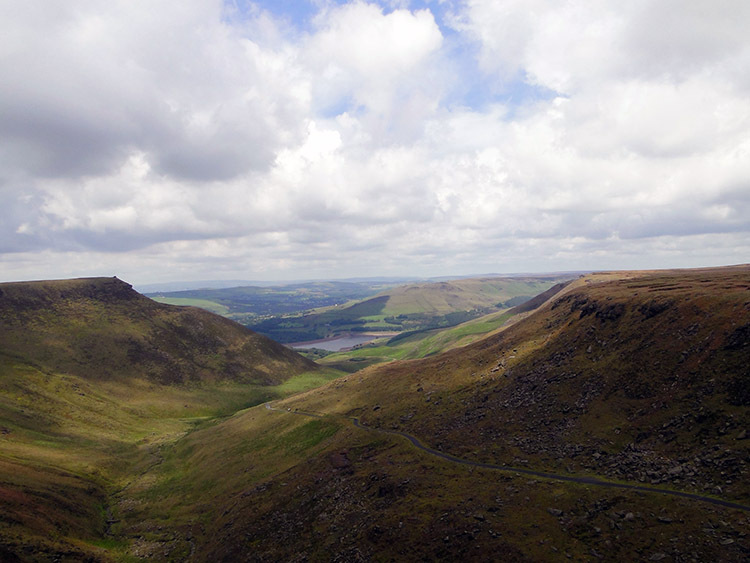 The reservoir is surrounded by moorland and rocky outcrops. I know that, I could see for myself. As we had been accumulatively walking and cowering from the rain for four hours and as it was now 1.30 in the afternoon we stopped for lunch. After lunch we set about negotiating our way across the area of high moorland called Chew Hurdles. 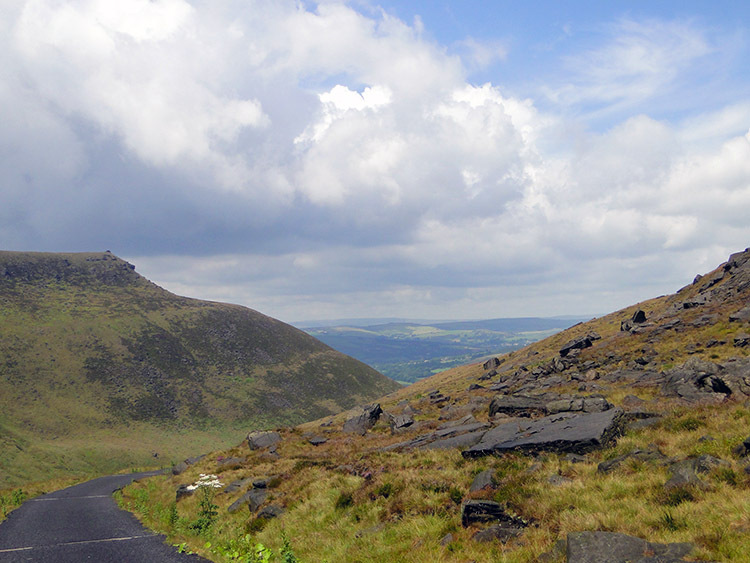 The ground was a mass of gritstone boulders set in peat. There was no uniformity to them, randomly scattered across the moor. The Oldham Way which we had briefly met and followed once more up Chew Road went one way and we went the other, southbound to Ormes Moor. 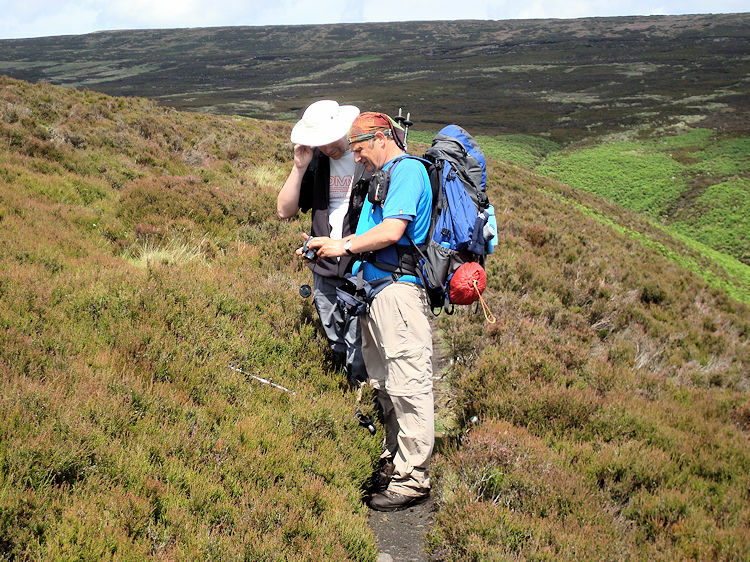 The dashed green line which is so reassuring on Ordnance Survey Explorer maps was with us no more and sometimes in the depressions of peat hags the plain dashed line shown on the Explorer map which I was following and which indicated a path did not relate to one on the ground. Steve questioned my route planning. I questioned it myself. Andrew remained silent, perhaps judging it best to remain neutral. However the Sat Nav told me were were on the right course and I kept my eyes on it closely as we walked the meandering walk which moor with sunken peat hags and raised ground often cause one to do. Fortunately a semblance of a path did appear now and again through the passage of Chew Hurdles and as we came to Ormes Moor it showed itself more readily. The sun began to shine brighter too which heartened us further. 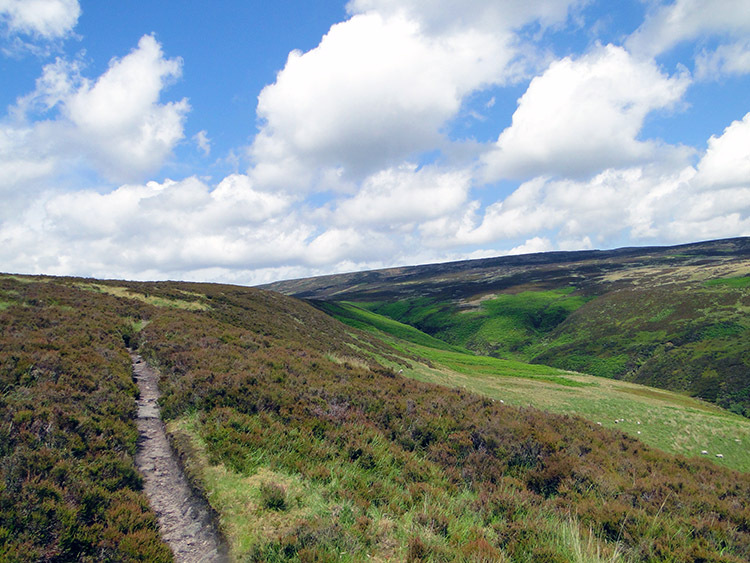 As we crossed Ormes Moor further the path became clear and as we relaxed into the upland walk another activity took over. Path spotting was replaced by airplane spotting. The moor was on the direct landing flightpath of aircraft coming into Manchester Airport. As the flew over us we could easily see their landing gear deployed, make out the type of airplane and identify the air service they represented. The going was easy across the moor. 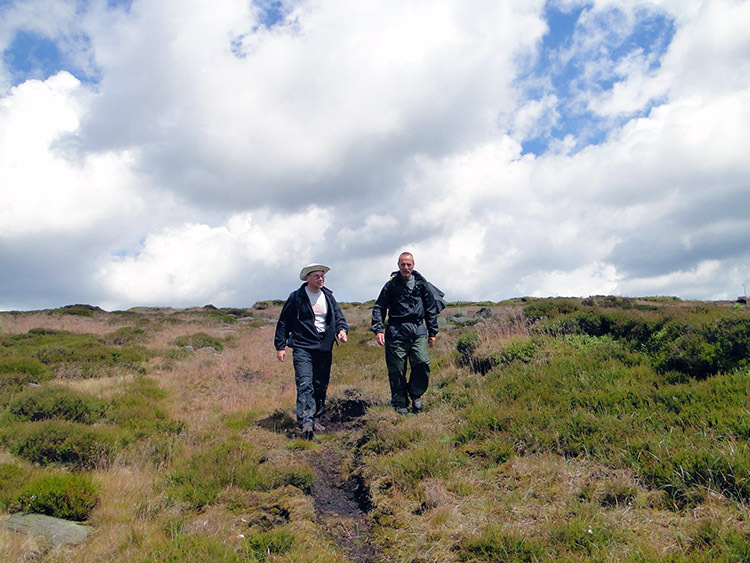 We had crossed the watershed on Ormes Moor and were now on a steady descent. 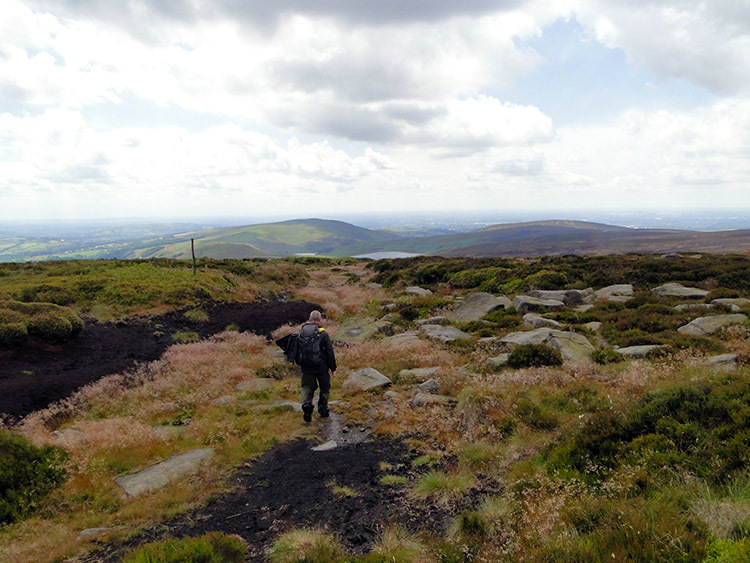 From Ormes Moor we came to Arnfield Flats and then crossed Ogden Brook to reach Boar Flat. 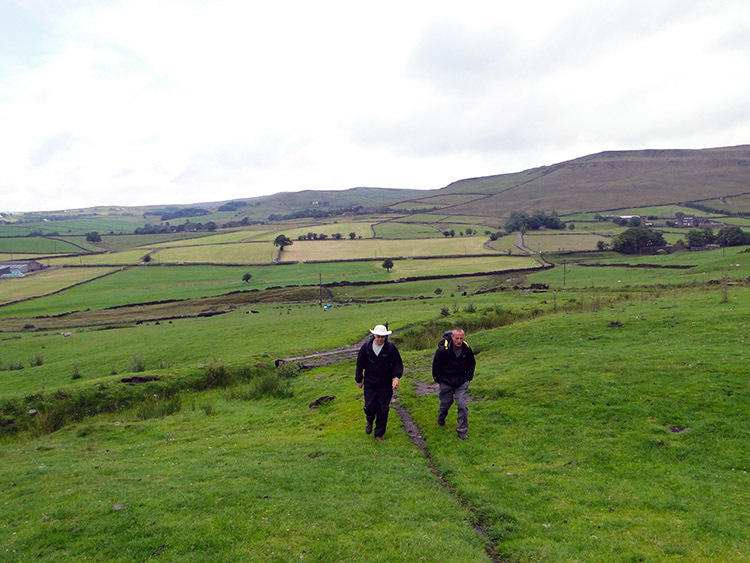 And we could also see the land opening up ahead of us, showing us all the way to Glossop. Andrew pointed to the direction we were to take and then pointed to the town we were skirting to the left of us. "That is Royston Vasey" he said. I had no clue what he was on about but Steve did as he replied "is that the place where it was filmed?". "What are you two on about?" I inquired. "It is Hadfield, the town used as the fictional town of Royston Vasey where the TV series 'League of Gentlemen' was filmed". I have not a clue. All the discussion about a cult TV show which I missed out on took us from the moor and to Hollingworth Dale. 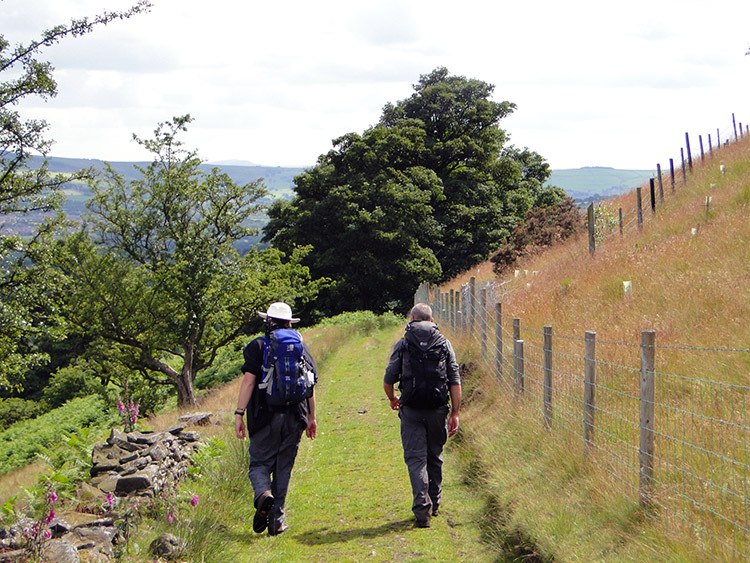 We proceeded to make our way through the dale across a series of intersecting footpaths, a task made all the easier by a series of very well constructed footpaths signs placed at the points where footpaths met. 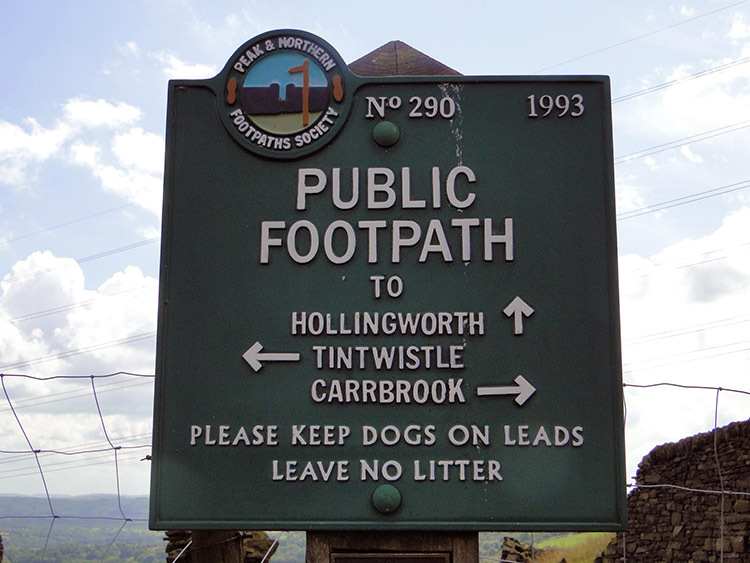 They are the work of the Peak and Northern Footpaths Society. We came to sign number 290 which was erected in 1993. It told us Tintwistle was to the left, Carrbrook to the right and Hollingworth which was our immediate destination straight on. It also provided polite advise which all discerning walkers should heed. The afternoon was gorgeous, all the violence of rainstorms well beaten back for the day. We ambled onwards. Our final bit of rural walking before the urban walk to Glossop was delightful, a pleasurable excursion through Hollingworth Nature Reserve with the highlight being Swallows Wood. 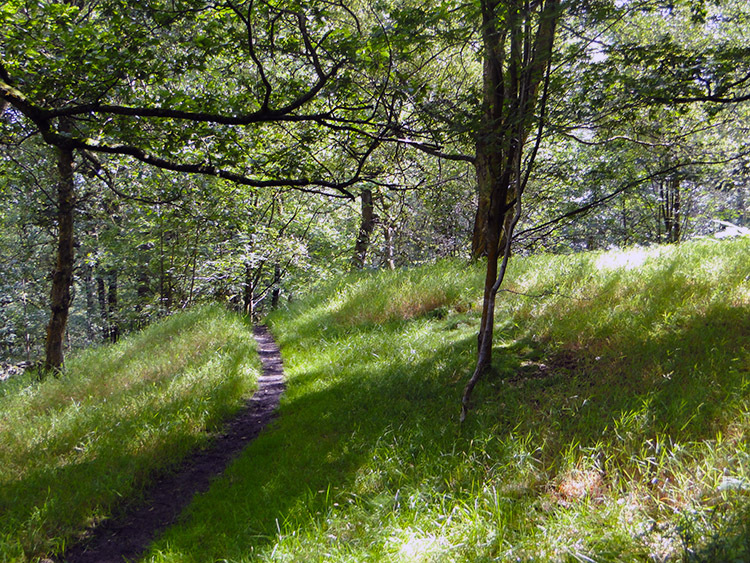 The 60 acre nature reserve is a mix of semi-natural woodlands, meadows, ponds and marsh areas. After the delight of the nature reserve all that remained was the necessity of an urban walk into Glossop via Hollingworth village. Enough said about that. Oh, except for Dinting Vale which we passed through between the two as it has a claim to fame. Dinting Vale Printworks became renowned through the Potter family which included Edmund Potter and his brother Rupert Potter, the father of Beatrix Potter who often visited her father and uncle at the Print Works. So Peter Rabbit, Squirrel Nutkin and all that lot may have been conceived in Dinting Vale. A final note. thank you very much Andrew, you were great company. You helped Steve and I enjoy this stage of my Great British Walk more than we could possibly have by ourselves. Pots and Pans, the history of the reservoirs, the League of Gentlemen link and the Beatrix Potter association. We would have missed them all.